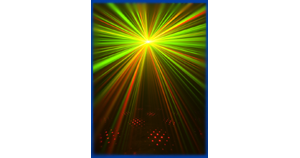 Laser Lights from SmartDJ.com will have your head spinning. We stock and sell multiple laser beams, moving heads and even 3D and text writing lasers at SmartDJ Prices. A wide selection of colors and prices ranges will have your audience glowing all night long.